This is a unique tool available only from SigmaGuru. You can print such before and after process improvement picture in your reports. 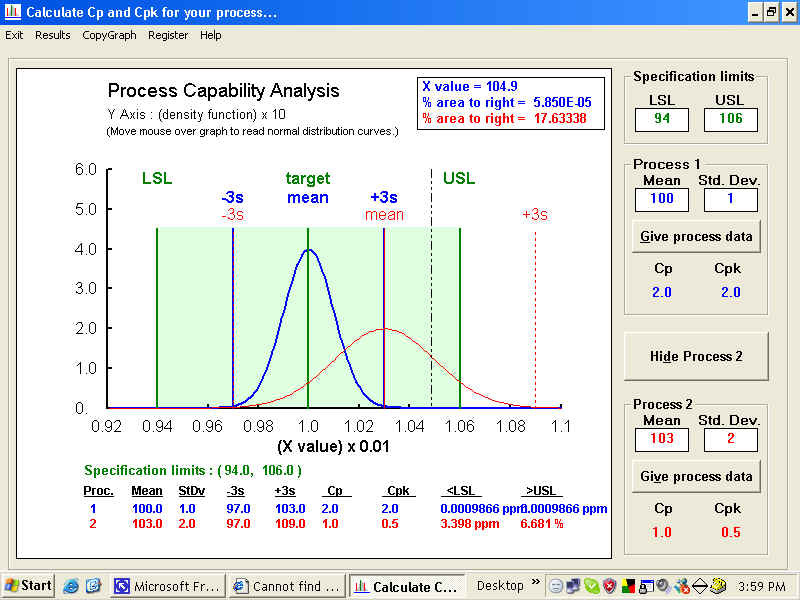 and see the graphical relationship + Mean and Standard Deviation values for the 2 processes displayed instantly. The graph window can be quickly copied and printed wherever you want. In your report, for example. A must for all working for process improvement / six sigma.